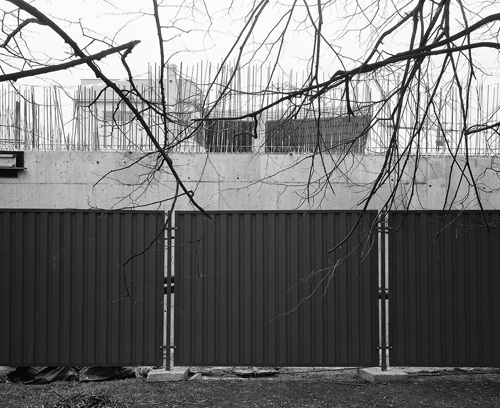 In his most recent project, prepared specially for the Kordegarda (National Gallery of Art Zacheta) as part of the "Room with a View" series, Maciek Stepinski portrays selected fragments of Warsaw's urban landscape. This time, Stepinski talks about places close to his heart: tennis clubs, in which he played and competed as a boy. 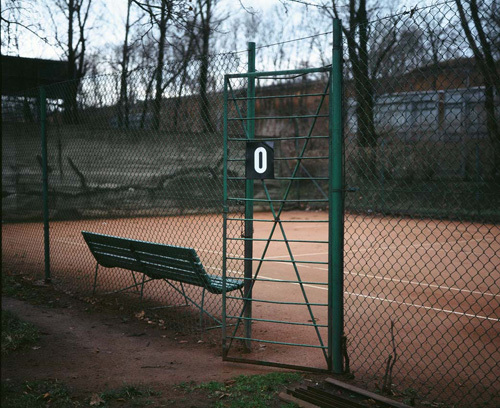 The exhibition's title, borrowed from a name of real tennis club, evokes the period of late communism, when tennis was an elite sport, a symbol of a better, 'Western' lifestyle and Warsaw's tennis clubs stood out from the dull greyness of almost everything else. Today, these are mostly abandoned or neglected places. The buildings show signs of wear and tear, and vegetation has run wild and taken control of the courts. Paradoxically, however, these images are beautiful. This is due to, in the first place, to careful composition, to the author's ability to capture the tension of the picture's form and content. This effect is enhanced by the choice of technique - the main part of the show comprises elegantly framed Cibachrome prints. This was a deliberate decision on the artist's part. Cibachrome is a technique that is becoming obsolete, giving way under the pressure of omnipresent digitalisation. It makes it possible to achieve incomparable sharpness and depth of the picture, an effect of elegance. 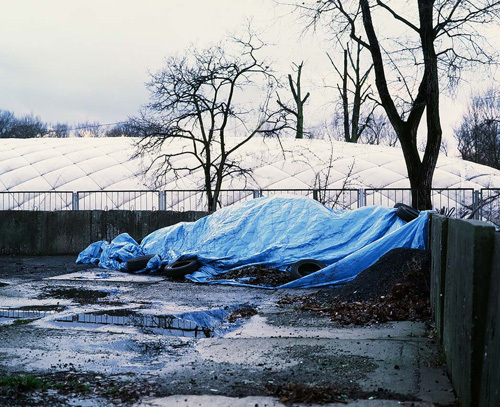 Stepinski shows a world frozen in its tracks, abandoned by people, degraded. The landscapes are imbued with a mood of autumn nostalgia - the exhibition's timing for late October was a deliberate decision too. As a result, the view outside the window and the unique light of this time of year complement the photographic images on display. This, however, is not the end of the story. The show features also large black-and-white digital photographs unframed, stuck directly on the wall and window. 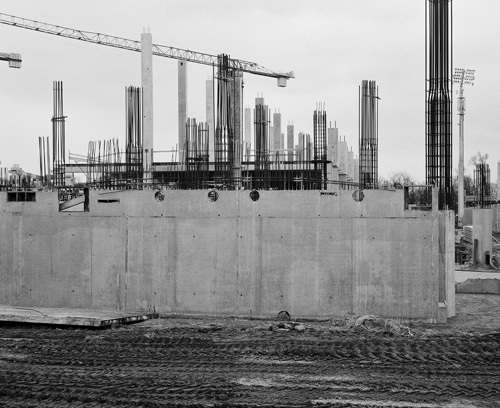 They show other fragments of the city - building sites, naked building structures, views of buildings at the moment of their inception. An intent viewer will recognise them as the new Decennial Stadium, being restored to its original function as a sports venue, just as they may have noticed among the photographs of Warsaw's abandoned tennis clubs the already iconic image of the springboard at the now-closed Legia swimming pool. 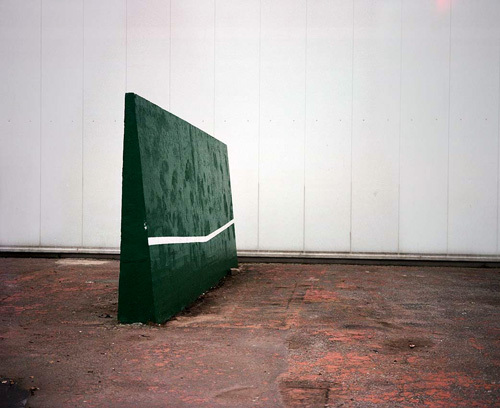 Maciek Stepinski's presentation is complemented by two short films, CWKS 1 and CWKS 2 - scenes from the Legia's central tennis court under renovation, workers drawing the white boundary lines on the brick-red background of the tartan surface. 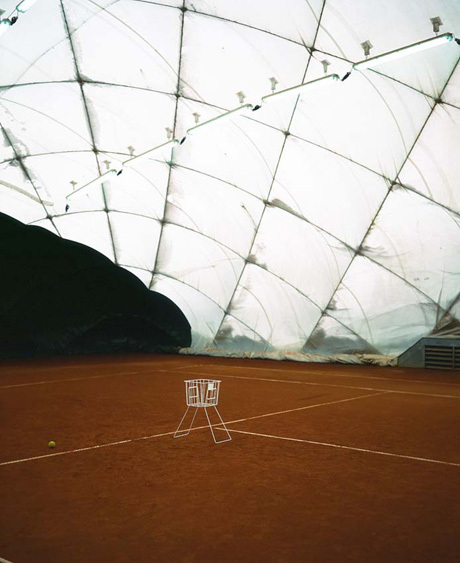 But Maciek Stepinski's Warsaw City Tennis Clubs is not just a sports story; rather, it is a narrative about a city in transformation, unifying history and the future in images.